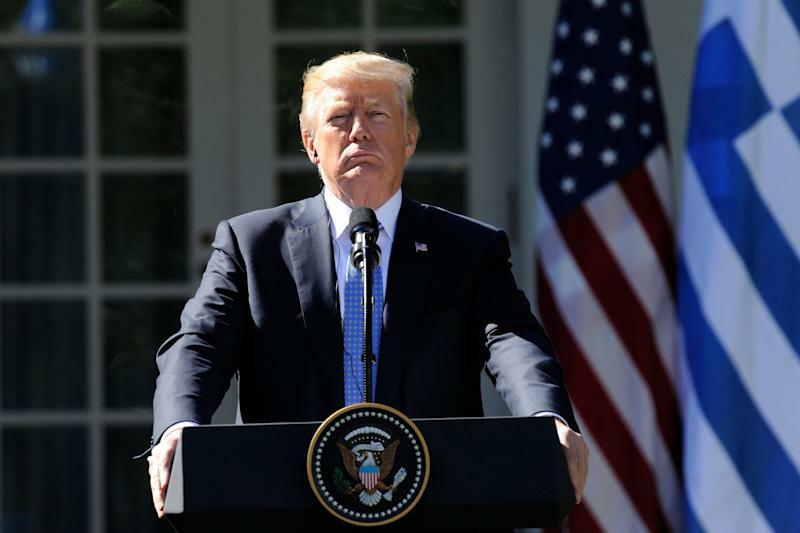 The mothers of military service members killed in Iraq and Afghanistan called President Donald Trump’s delayed response to the deaths of U.S. soldiers in Niger an abdication of his first duty as commander in chief to recognize the sacrifices of the troops and their families. “All the families want to know is that their loved ones mattered, that their life mattered. When you don’t even acknowledge the sacrifice or the death, then it’s like you don’t even care,” Karen Meredith said on Tuesday. Meredith’s son, Army 1st Lt. Ken Ballard, died in Iraq on Memorial Day 2004. “I don’t know what’s more important of a job as the commander in chief than to acknowledge the sacrifice of one of his military members,” Meredith added. Meredith, who is active in the progressive veterans advocacy group, VoteVets, recalled receiving a letter from then-President George W. Bush and then-Defense Secretary Donald Rumsfeld when her son was killed. “But at least he sent something ― unlike the current president,” she said. The grieving families of slain service members receive many letters from the military and gestures of support from the community of Gold Star families, according to Meredith. “So nobody’s sitting around waiting for letters from the president, but the president shouldn’t be the last one to write or to contact the family,” she said. Most Gold Star families expect a timely letter but not a phone call from the president, according to Stephanie Fisher, whose son, Army Staff Sgt. Thomas Fogerty, was killed in Afghanistan in February 2012. Fisher said she received a letter from then-PresidentBarack Obamawithin a week’s time. The families of those who died while serving in elite military units are more likely to receive a phone call, said Fisher, who is also active in VoteVets. Two Gold Star mothers suggested that President Donald Trump should have acknowledged the Green Berets' sacrifice sooner. Trump was criticized on Mondaywhen he claimedthat most previous presidents, including Obama, did not make phone calls to the families of troops killed in action. In fact, Obama called, wrote and met with many Gold Star families and frequently visited wounded and disabled veterans at Walter Reed Medical Center. “That just wasn’t true. I found it offensive,” Fisher said of Trump’s specific jab at Obama. Michelle DeFord, another VoteVets activist, appreciated the kind treatment she received from President Obama and the first lady years after the death of her son, Oregon National Guard Sgt. David Johnson, in Iraq in September 2004. Michelle Obama wrote DeFord a letter asking for a photo of her son to put on one of the ornaments decorating a White House Christmas tree. “That was so nice to me that his face would be on a Christmas ornament in the White House,” DeFord recalled. Trump’s remarks at Monday’s press conference were his first about an Oct. 4 ambush in Niger in which four Green Berets were killed. The attack was the single deadliest incident for U.S. troops since he became president. He said that he had written letters to the families of the four men over the weekend, which would soon be sent to them, and that he planned to call them as well. “The toughest calls I have to make are the calls where this happens. Soldiers are killed. It’s a very difficult thing,” Trump said. Meredith suggested that the families of the Green Berets might have appreciated receiving his sympathies earlier. It often takes 10 days for the bodies of fallen service members to be returned to their loved ones, she said, so they are “probably” just getting to holding funerals now. “They don’t want to hear from the president on the day of the funeral,” she said. Meredith brushed off Trump’s remarks about how difficult it is for him to call families in mourning. “Put yourself in my place: How do you think I felt getting those letters? Ken was my only child,” she said. This story has been updated with comment from more Gold Star mothers.